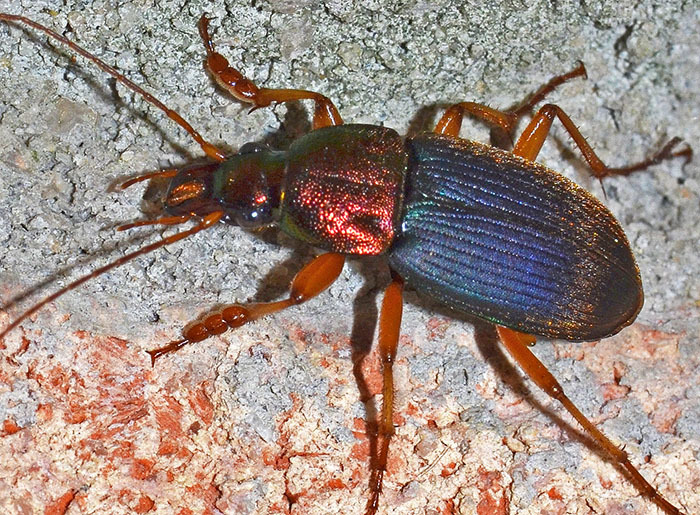 The typical habitats of this pretty beetle are moist or semiaquatic areas. 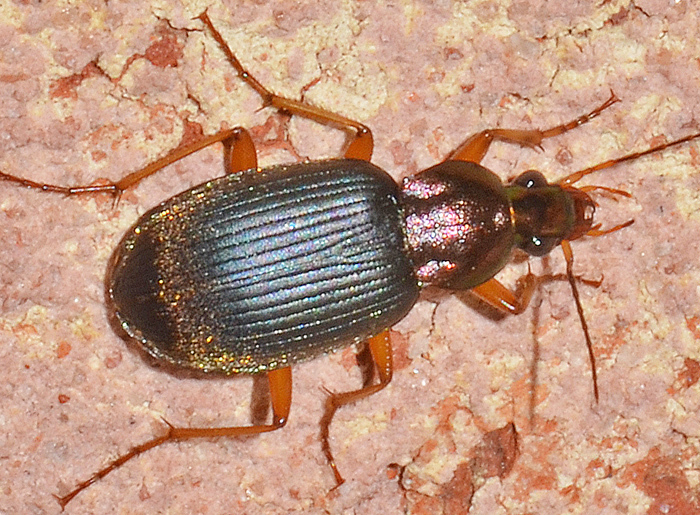 Vivid Metallic Ground Beetles are medium-sized to large and often have vivid metallic coloration. There are over 50 Chlaenius species in the US. Some of these species lay eggs in mud cells placed underneath leaves or twigs. To me this specimen looks very similar to Chlaenius tricolor with the main difference being the little nodules at the front legs. Bugguide, however, states: "Distinguished by large body size and long mandibles compared to other similar-looking" species. As of September 2018, bugguide had no photo of this species from Georgia and Alabama and my photo is the first for Florida.